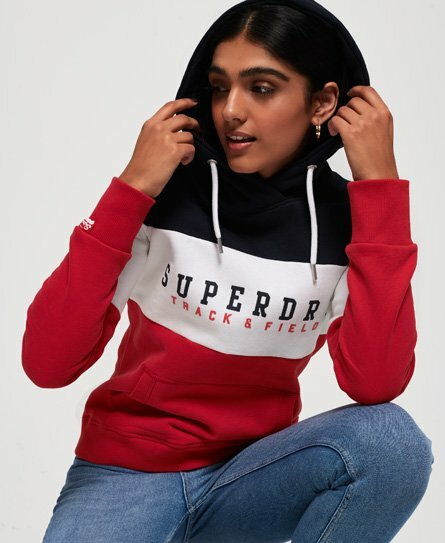 Superdry women's Track & Field colour block hoodie. This overhead hoodie features a drawstring hood, front pouch pocket and colour block design. Finished with a logo graphic on the chest and logo tab on one sleeve, pair with slim joggers to tap into the athleisure trend.